While electrical towers are typically viewed as an environmental health hazard, evidence has proved scant and inconclusive that the electromagnetic fields, or EMF, created by these imposing towers can actually be harmful. Supposed risks from power lines began to be studied in 1979 when researchers in Denver found a correlation between proximity of high-current power lines and occurrence of leukemia in children. Unfortunately, the study failed to investigate EMF contamination, focusing simply on the type of electrical wiring and its proximity to the children’s homes. Another series of studies in 1999 heralded the safety of EMF, only to later be deemed biased and skewed based on the fact that funding was provided in part by the microwave and cell phone industries. But the unreliability of these and other studies has not hindered the suspicions of some scientists. Many oncologists suspect a causal relationship between EMF and changes in DNA that can cause cancer. One of the first steps that can be taken by any concerned party is to measure EMF levels within the home. 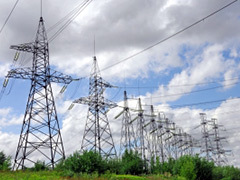 Faulty wiring can be responsible for contaminating a home with unacceptable levels of EMF, sometimes misleading people to believe the high levels of EMF are coming from nearby electrical towers. Small, inexpensive meters are effective in making these measurements, and anything above 50-60Hz is considered an abnormal level of EMF. Although scientific evidence linking EMFs to cancer is inconclusive, limiting long-term exposure to EMF is recommended by many experts in the field. Since power lines, mobile phones, broadcasting towers, and microwaves are among the biggest emitters of EMF, minimizing time spent near these devices is likely the best policy. Posted on February 10th under Global Ecology.